Shaky shots can adversely affect the picture and video quality unless those are part of the narrative being conveyed through the visuals. However, with the right camera equipment, it’s possible to get excellent, stable footage even if the cameraperson is moving. Cameras now come with in built stabilization features or you could use the ubiquitous tripods to serve the purpose. However, for a truly great footage that are as steady as a rock, you would need the best camera stabilizers, Steadicams and gimbals. 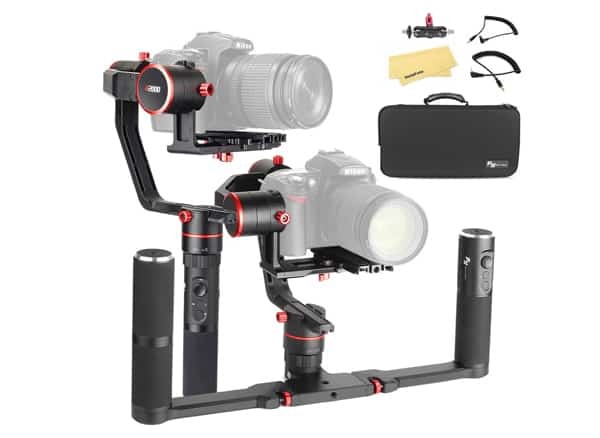 Stabilizers and Gimbals are often compatible with various cameras like smartphone cameras, DSLRs, camcorders and action cameras. They come in different weights, size, features, manual controls and price. Owing to these, it may not be easy to choose the best camera stabilizer and gimbal. To make it easier for you, we take a look at the ten best camera stabilizers and gimbals in 2019 in this review. Read further to find out which ones they are and choose your pick. The Flycam HD-3000 is a handheld steadycam stabilizer which comes with advanced features for some incredibly smooth and professional footage. This steadycam comes with Micro balancing technique which allows you to precisely balance the camera with incredible ease. The top camera base plate is adjustable on both the X axis and y axis and has 20 slots of ¼” to hold most camera bases. 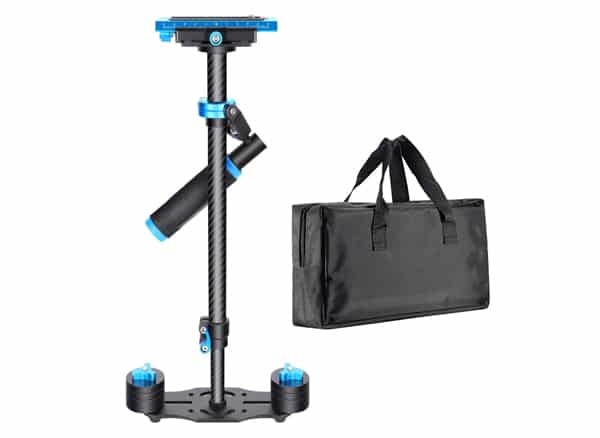 This DSLR stabilizer has a 3-axis gimbal which comes attached with a foam cushioned handle grip for and lets you move the camera stabiliser up and down or side by side. See more information on FLYCAM HD-3000. Micro balancing technique for precise balancing. 3-axis gimbal with cushioned handle grip. Free table clamp and quick release plate. Telescopic central post with 60 cm maximum height. Foam padded bag for easy transportation. The FLYCAM HD 3000 is top on our list and the best overall DSLR camera stabilizer. 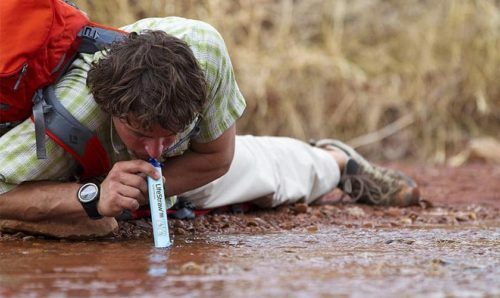 Its aluminium body makes it lightweight, it is easy to carry. The micro balancing feature and the 3- axis gimbal allows you to shoot impressive shake- free footages, and with a free table clamp and a quick plate coming along with this camera stabilizer, the video quality and your convenience is always guaranteed. The incredible number of weights-16 in all, the telescopic post and foam padded bag together make this tool and excellent choice and when you compare this to its reasonable price, you would want to own one for sure. The Feiyu a2000 is an advanced camera gimbal stabilizer with some awesome features to give a flawless shooting experience. This camera stabilizer comes with dual handles with controls and joystick fitted onto them for easily operating the camera. User can switch between single holding, dual holding, inverted holding, reversed holding, high position holding and low position holding. The gimbal is programmed with an algorithm which automatically detects the weight of the camera and match with them. The anti-shake algorithm allows the users to shoot smooth films. The slip ring motors at the panning, tilting and rolling axes allows for 360- degree rotation. This camera stabilizer also adopts a 45-degree elevation which ensures the viewfinder is never blocked by the rolling axis. 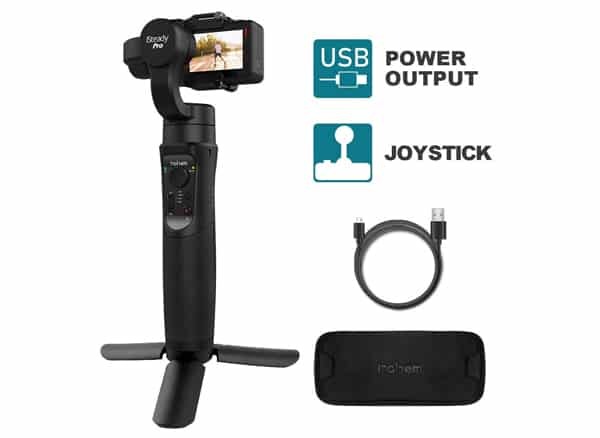 With this 3-axis gimbal stabilizer, you can shoot some excellent time lapse videos by connecting the gimbal to the camera using the shutter cable which come with this product. You can also program it for automatic shooting. Another smart feature includes operating the camera remotely using the Feiyu On app. Weighing at close to 10 pounds, this is a sturdy camera stabilizer and can carry cameras up to 3 kg. See more information on Feiyu a2000. Dual handles with controls and joystick. Built-in Anti- Shake algorithm for smooth footage. Feiyu On app for remotely operating the camera. 3-axix gimbal and 360 -degree rotation. The Feiyu a2000 is the second on our list and the best premium camera stabilizer gimbal. It boasts some incredibly smart features which allow you to shoot amazing smooth footages free from any disturbances. 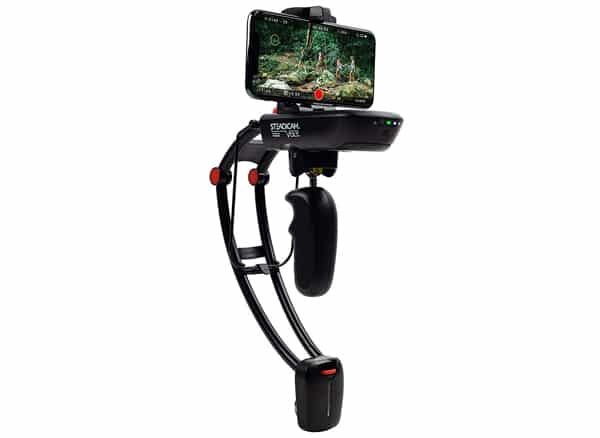 Its multiple holding positions, intelligent algorithms, 3-axis 360-degree rotation and the app to remotely operate the stabilizer make it a stand out camera stabilizer. It is sturdy and can carry heavier cameras up to 3 kg. This is one of the best camera stabilizer in the market and if you are willing to spend some extra then definitely go for it. The Raleno Handheld Stabilizer Steadycam is lightweight and portable camera stabiliser made with a high strength aluminium alloy body. The two -way adjustable quick release plate allows easy tilting and panning with exact precision for shooting amazing footage. The telescopic central post allows you to adjust the height between 40.1 cm and 60 cm for shooting at multiple angles and has high precision bearings and low friction joints. The handle uses an advanced bearing design so it feels smooth and comfortable on your hands. For maintaining vertical balance, the you get 6 removable weights weighing a total of 800 grams, along with the camera stabilizer. 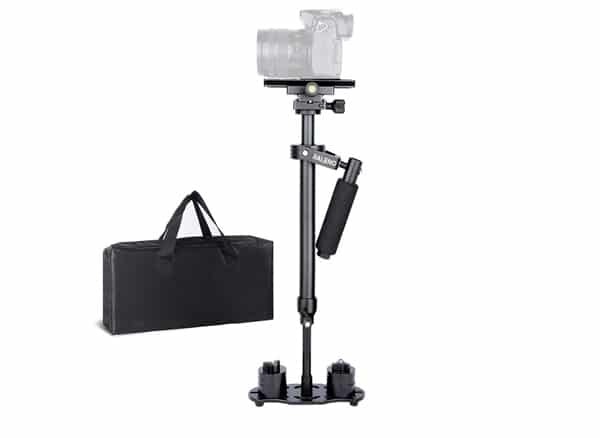 This DSLR stabilizer for all DSLR cameras and DV cameras weighing up to 6.6lbs/3kg. For easy transportation, a carry bag is also provided with this camera stabilizer. 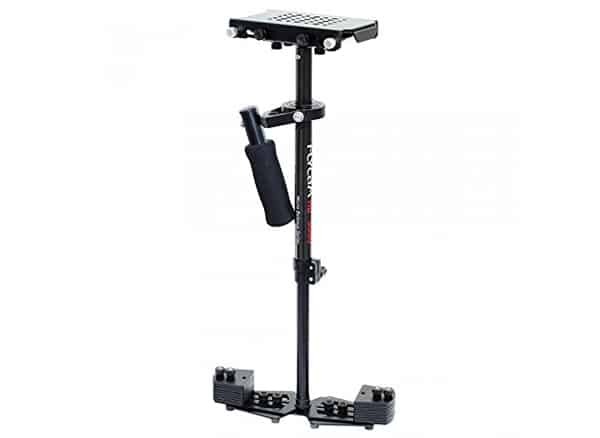 See more information on RALENO Handheld Stabilizer Steadycam. Two-way adjustable quick release plates for easy tilting and panning. 6 removable weights for vertical balance. The Raleno Handheld stabilizer is third on our list of best camera stabilizers and the best value. Coming at a low price, this DSLR stabilizer packs all the basic features for a smooth non-shaky footage. High precision bearings and smooth joints and the weight enable you shoot at multiple angles as per your needs. It is perfect for mounting DSLRs and DV cameras and if you are low on budget then then you can opt for this camera stabilizer. The iSteady Pro Gimbal Stabilizer is perfect for shooting while on the move. This sturdy looking gimbal stabiliser works well with GoPro Hero series cameras and others similar cameras and allows you to capture action sequences with flawless precision. This camera stabiliser gimbal is made of high-quality polymer composites which are super light compared to other GoPro gimbals and weighs at just 1.3 pounds. At the press of a button, you can quickly reset the position and angles of your camera and the joystick allows you to control the angles. With multiple ports you can easily mount this gimbal on a tripod or a bike to shoot as per your needs. It is perfect gimbal to shoot a time-lapse video or a stable 180/360-degree panorama. The 4000 mAh battery is enough to power your gimbal stabilizer for 12 hours and in case you run out of power, a power bank is provided to charge your camera stabilizer through a USB cable. It can also be operated using an app for more creative shooting. See more information on Hohem iSteady Pro Gimbal Stabilizer. Lightweight and made of high- quality polymer composites. Adjust camera angles with a joystick. Suitable for time lapse videos and 180/360 -degree panorama. Multiple ports to mount the camera on other objects. The Neewer Carbon Fiber is a durable and sturdy DSLR stabiliser with rod made of carbon fiber and the rest of the components made of steel. This camera stabilizer has high precision bearings and low friction joints which allow shooting at various angles to get smooth footage. The camera platform on top has multiple mount holes for placing camera in multiple position and is adjustable two way. The quick release plate is equipped with 1/4” and 3/8” screws and can accept any DSLR camera with this screw adapter. The telescopic central post can be adjusted in height from a minimum of 38 cm to a maximum of 60 cm. For getting the correct vertical balance, you also get 4 weight discs to balance the camera on the stabilizer. The handles grip is covered with sponge to provide comfort to your hands. Weighing at close to 3 kg, this is a heavy camera stabilizer and it can hold cameras weighing up to 6.6lbs or 3 kg. See more information on Neewer Carbon Fiber. Durable and Sturdy stabilizer made of Carbon fiber. Bidirectional base plate with multiple mount holes. Telescopic central post and camera weights. The Neewer Carbon fiber is a low-priced durable camera stabilizer that will do its job well. It is a good DSLR stabilizer and although heavy, it comes with the advantage of being capable to carry heavier cameras up to 3 kg. The precision bearings, telescopic post and camera weights will allow you to shoot at multiple angles which means you can some awesome steady shots. A good low -cost option to go for. Zhi Yun is a leading Chinese manufacturer of camera equipment has created some award-winning stabilisers. The Zhi Yun Crane V2 is one of the most advanced handheld camera gimbals in the market and boasts some cool features. This camera stabiliser features three 32-bit multi control units which enables you to shoot smooth and steady footage and an in-built compact slip ring allows the gimbal 360- degree rotation along the pan, tilt and roll axes. A stepless joystick allows you to adjust angles, switch filming mode and control shutter speed at the press of a button which means you can control the camera settings thorough the gimbal and don’t have to touch the camera. This DSLR gimbal is equipped with an in-built Bluetooth, which enables you to operate it wirelessly with your smartphone through an app. The camera attaches to the gimbal with a simple thumbscrew and it can be done in no time. This gimbal stabilizer can hold DSLR as well as mirrorless cameras between 0.77 lb and 3.96 lb. It runs on 26500 Li-ion batteries and has a run time of 12 to 18 hours. See more information on Zhi yun Crane V2. Three 32-bit multi control units allows for steady and smooth footage. 360 -degree rotation along the three axes. Adjust angles, filming mode and shutter speed at press of a button. In built Bluetooth connection allows operating the camera remotely. The Zhi Yun Crane V2 gimbal stabilizer is perfect for capturing action sequences which require a steady camera without any shaking. Coming at a premium price, this handheld gimbal has some cool features such as the in-built Bluetooth which allows you to operate the gimbal remotely. It is suitable for both DSLRs and mirrorless cameras and the camera settings can be easily adjusted on the gimbal itself at the press of a button. Such amazing convenience makes for a hassle-free shoot. 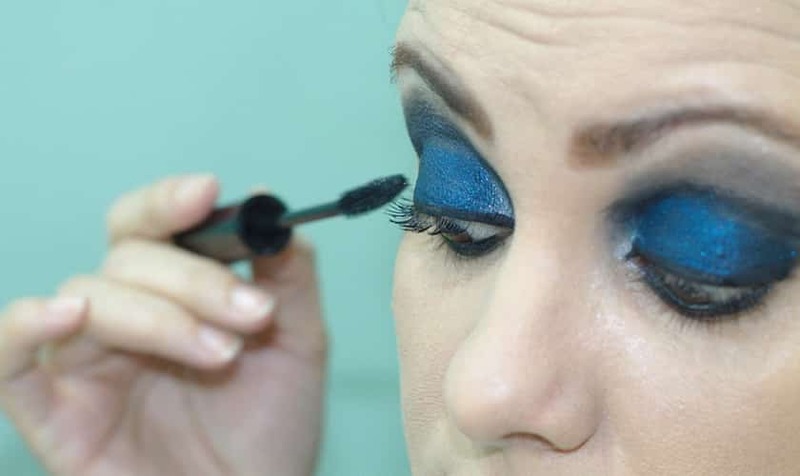 If spending some extra money doesn’t bother you, then you can certainly go for this product. Here is super cheap camera stabilizer which can carry any DLSR camera or camcorder and is ideal for shooting at low angles and reduce camera shake. 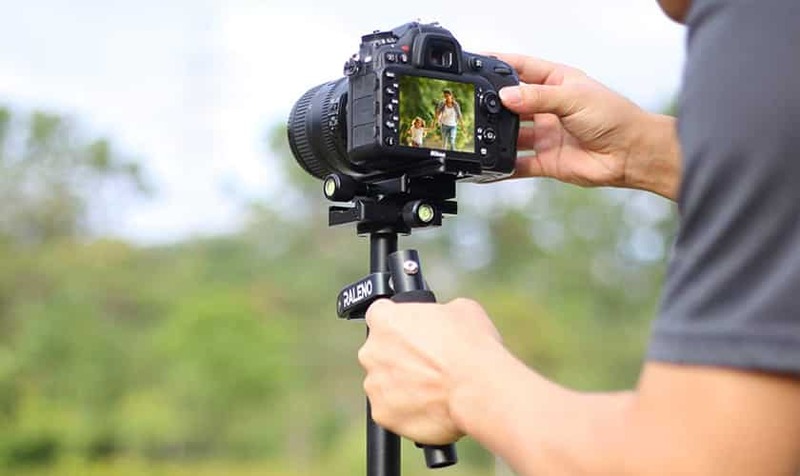 The Zeadio Video Action Stabilizing Handle Grip is an ideal DSLR stabilizer that works with all cameras having a standard ¼-20 thread interface. The sturdy handle allows the user to capture action shots at difficult angles and the hot shoe mount at top of the stabilizer can accommodate flash light, video light or a microphone. 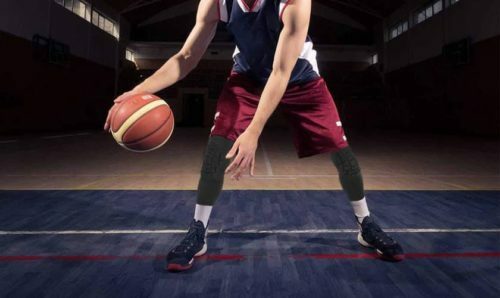 The cushioned NBR padded handle is easy on your hands and ideal for long shooting hours. At just around 1 lb, this handheld camera stabilizer is extremely lightweight and convenient to use. It can also be mounted on a tripod or a dolly for higher quality videos. 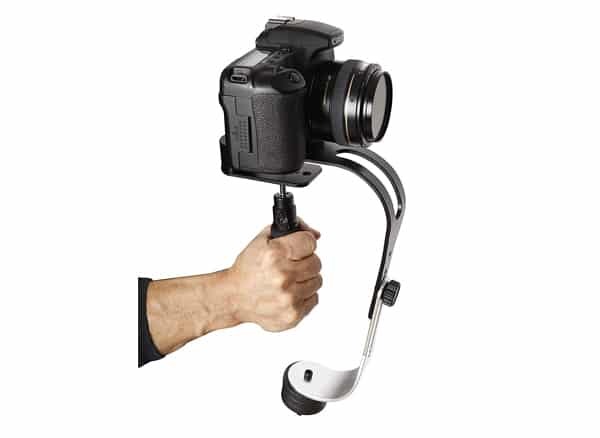 See more information on Zeadio Video Action Stabilizing Handle Grip. Ideal for shooting at low angles with reduced camera shake. Works with all cameras having a ¼-20 threaded interface. Hot-shoe mount on top for video lights, flash lights and microphone. 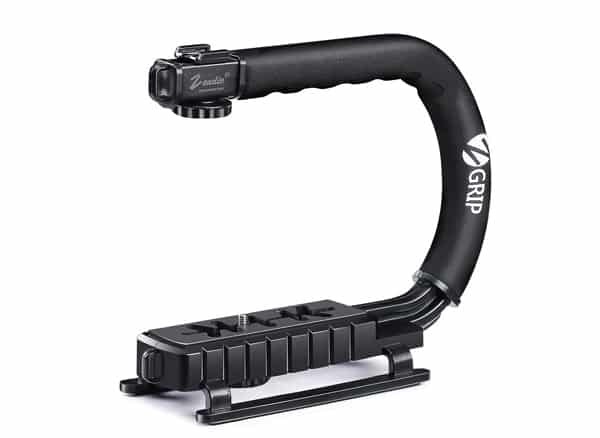 The Zeadio Video Action Stabilizing Handle Grip is an awesome low-cost option and ideal for amateurs and professional videographers alike. With its exciting features, it can be a perfect filming accessory for capturing your precious moments such as birthdays, marriage, honeymoon etc. This camera stabilizer can also make for a perfect gifting option. 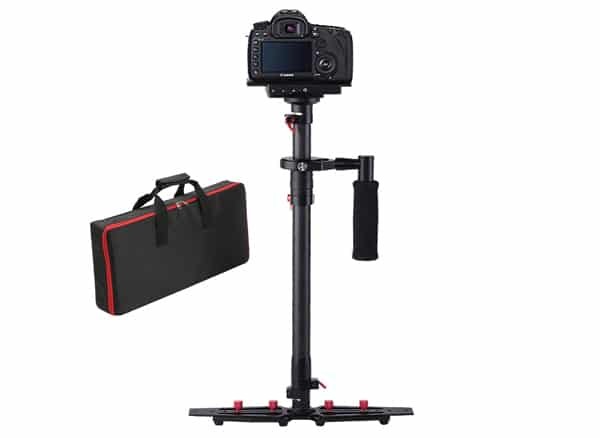 If you want something really good for a super low price, then go for this DSLR stabilizer. The Dazzne HD-2000 is an ideal DSLR camera stabilizer for shooting stable footage at a taller height. The telescopic of this camera stabilizer rises to a maximum height of 78.5 cm with a minimum height of 53 cm. The video stabilizing system built in this video camera stabilizer is designed to reduce shake and stabilize the videos. The base plate at the top is bi-directional and can be adjusted freely to any direction. 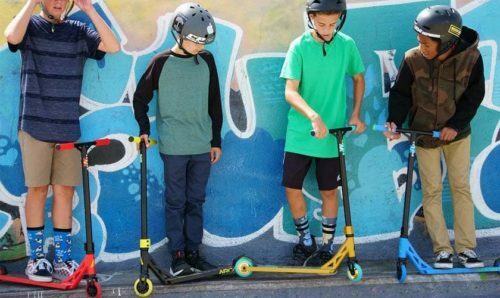 The bearings enable 360-degree rotation and an adjustable balance bar to shoot at the required height. This camera stabilizer comes with a single counterweight of approximately 129 grams and has an anti-skid feature to add extra stability. Weighing at close to 8 pounds, this camera stabilizer can carry all types of professional camcorders and SLR/DSLR cameras. Telescopic bar rises to a maximum height of 78.5cm. In-built video stabilizer system to reduce shake. The Dazzne HD-2000 camera stabilizer comes at a higher price than others in its category but comes with the benefit of shooting at a taller height of maximum of 79cm. Features like anti-skid, video stabilizing system and 360-degree rotation ensures the camera stabilizer does its job well. It is a sturdy product to hold cameras at the taller height. If you want to shoot at a higher height, then this camera stabilizer is something you can go for. The grip handle comes with a no-slip grip which removes lower arm swing. Weighing at just over 2 pounds, it is lightweight and easy on the hands. This camera stabilizer can carry DSLRs, camcorders, GoPros, smartphones and any other camera weighing up to 2.1 pounds. Plus, you also get lifetime free tutorial and email support from the manufacturer. See more information on ROXANT PRO Video Camera Stabilizer. Ideal for shooting in cramped spaces. Lower centre of balance for more stabilization. Lightweight and comfort grip handle. Can support any type of camera up to 2.1 pounds. The Roxant Pro Video Camera Stabilizer is perfect for capturing action scenes in small confined spaces. It would be a great tool in the hands of indie filmmakers who are looking to make mark. This makes this camera stabilizer ideal for any professional or any aspiring amateur videographer. This handheld camera stabilizer comes at a reasonable price and all the feature required for shooting steady and stable videos. This camera stabilizer is certainly worth a shot. An award-winning camera stabilizer gimbal, the Steadicam Volt will delight you with its superlight weight and ultra-precision and control. This camera gimbal comes with a 3-axis gyroscopic stabilizer for stable video footage in two modes, ‘Sports’ and ‘Movies’. The gimbal is powered by lithium ion batteries but in case the battery runs out, it has the unique feature to shift to manual mode and continue working. This gimbal is best for shooting low angle footages. Weighing at 1 pound, this camera stabilizer has a cool design and is light and collapsible, which makes it very easy to carry around. The haptic controls utilize Simulated Inertial designed to improve the handling of the gimbal. Users can operate in two modes – Beginners and Experienced. It is versatile gimbal and can accommodate different phone sizes between 100 grams -250 grams and GoPro Hero cameras. See more information on Steadicam Volt. Gimbal operates manually when power runs out. Two modes: Beginner and Experienced. The Steadicam Volt, with its awesome lightweight design and great stability is certainly a good product. 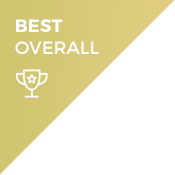 With beginner and experienced modes, users can use it as per their level of expertise. The inbuilt simulated inertia incorporated in the design of the gimbal and manual operation feature, all add to provide a good shooting experience to the user. 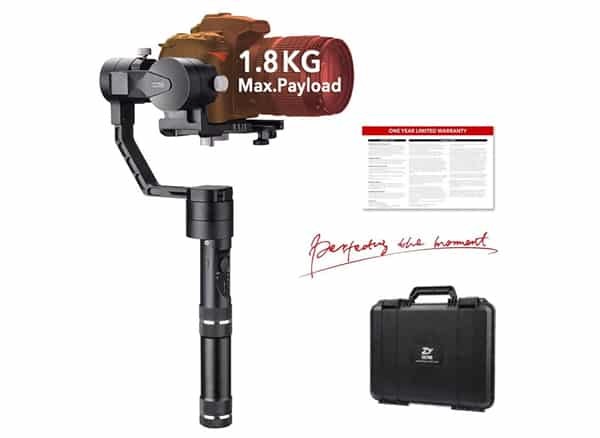 With so many features, this camera stabilizer gimbal comes at a slightly higher price, but if you are willing to pay some extra, this a great product to have. Camera stabilizers, gimbals and Steadicams, are an essential equipment in the shooting kit of any photographers or videographers. They help create professional high-quality videos which are free from any shake or blur. The camera stabilizers have especially been helpful for amateur videographers who were searching for a device that would help with their inexperience in handling the camera. They allow the user to keep the camera steady and stable and shoot videos with control and precision. We will outline some points which you need to keep in mind when you set out to purchase a camera stabilizer. Weight: The camera stabilizer should be easier to carry as you will be travelling a lot for shooting. Weight is one factor which you need to consider. Heavier stabilizers can accommodate heavier cameras but might turn out to a burden to carry. Balance: A stabilizer should give you super steady shots. Its balance feature is another important factor. Many of them come with camera counter weights which need to be adjusted with the height to get the optimal balance for shooting. Versatility: What are the types of cameras your camera stabilizer can accommodate is another factor to be kept in mind. Some are especially made for DSLRs, while some can accommodate DSLRs, smartphone cameras and GoPros. Batteries: Most of the camera stabilizers are powered by external batteries. 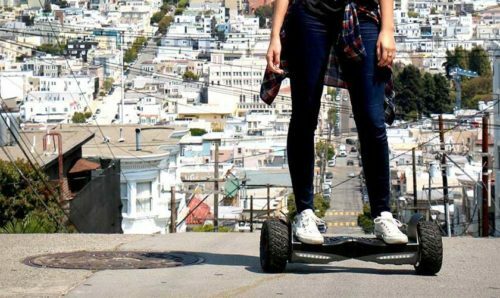 They may use either lithium-ion batteries or alkaline batteries. Price: Needless to say, but price is also an important factor. Camera stabilizers vary a lot in terms of price. There are some which are real cheap with basic features while some are incredibly costly with some over the top features. Merlin Steadicams: Merlin Steadicams are lightweight handheld gimbals that allow you to capture smooth blur free footage. They can accommodate smartphone cameras and lightweight pro cameras.